Folks are always complaining about the misinterpretations made by spell checkers. But some of us tend to use more than the usual simple words and phrases. When that happens, the spell checker can only do the best it can. A couple of days ago, Snowball was under the weather. I was out running errands. I always carry my phone but when she is not feeling well I’m especially careful to carry it in case she comes up with something special she wants me to bring home – as any wonderful, attentive husband would do. Even on her best days Snowball is somewhat cavalier about her texts. If there are any questions they are usually answered with “Well, you know what I mean!” Since we’ve been together for thirty years and probably more than that in previous lives, I usually do know what she means. But this time it took a couple of seconds for all the pieces to fall into place in my brain. Now first a word or two of explanation. In the area of the country where we live there is a fast food chain called Runza. I don’t know where the name came from – I think its something to do with an old family recipe. All of their food is great for fast food but Snowball and I especially like their Swiss Mushroom burger and its our goto food when theres no opportunity for anything else. They have great french fries and onion rings too. 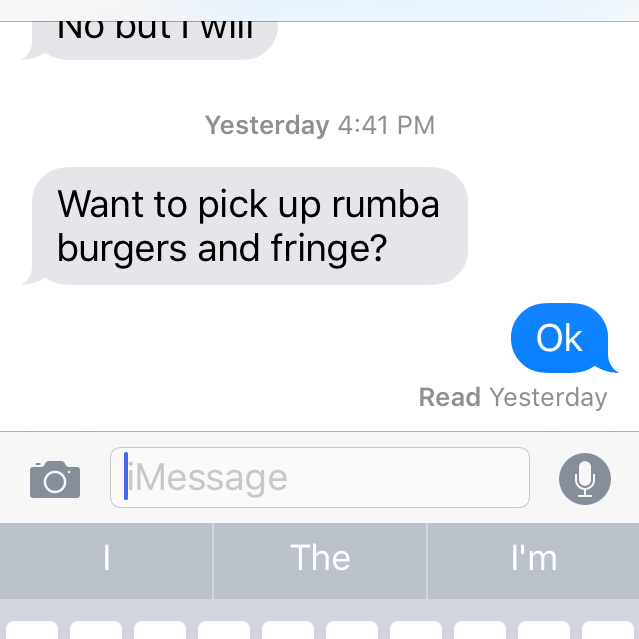 In an inspiration of marketing Runza came up with mixing the two in a bag and calling them “Frings”. 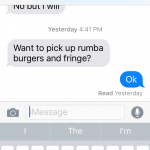 So when Snowball texted “Runza Burger and Frings” then let the spell checker have it’s way, you can see the result and understand how a “Dancing With The Stars” picture came to my mind.